It was just a few hours, but it was a few hours that mattered. Tony and Veronica Singfield, owners of Preferred Care at Home North Atlanta, armed with craft supplies and cookies hosted a Thanksgiving Crafternoon with the seniors at Del Mar Gardens of Smyrna. 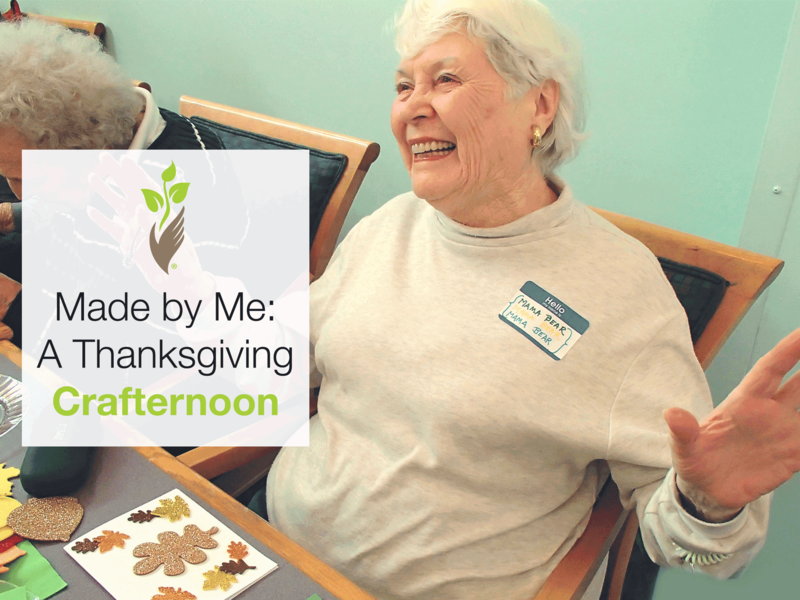 This particular “Crafternoon” was dedicated to making Thanksgiving cards to send to loved ones. Wherever Tony and Veronica go, laughter and smiles are sure to follow, and this was true for the group gathered around the paper and stickers. With each card made came stories of children and spouses, careers and families. The cards were lovingly signed and proudly marked “Made by Me”. As senior home care providers, Veronica and Tony understand the importance of not just providing quality care services, but in safeguarding the dignity and independence of the seniors they serve. From one to 24-hours of care, Veronica and Tony will work to ensure you or your senior loved ones are getting the care they need and deserve. It’s who they are, it’s who Preferred Care at Home is. That Thanksgiving Crafternoon spent gathered around the table making cards and sharing life was an afternoon well spent. It was more than just a craft day, it was a celebration of life, dignity and independence. If you or a senior loved one live in North Atlanta and the surrounding areas, give Veronica and Tony a call to learn more. As home care providers and advocates for the elderly, Preferred Care at Home is always offering resources and events for the community, contact a location near you to learn more.